Calphalon 10-Inch Fry Pan Just $29.99! Down From $75! PLUS FREE Shipping! You are here: Home / Great Deals / Amazon Deals / Calphalon 10-Inch Fry Pan Just $29.99! Down From $75! PLUS FREE Shipping! Don’t let this amazing deal slip away! Amazon offers this Calphalon Contemporary Nonstick 10-inch Fry Pan for only $29.99, down from $75.00, PLUS FREE shipping! 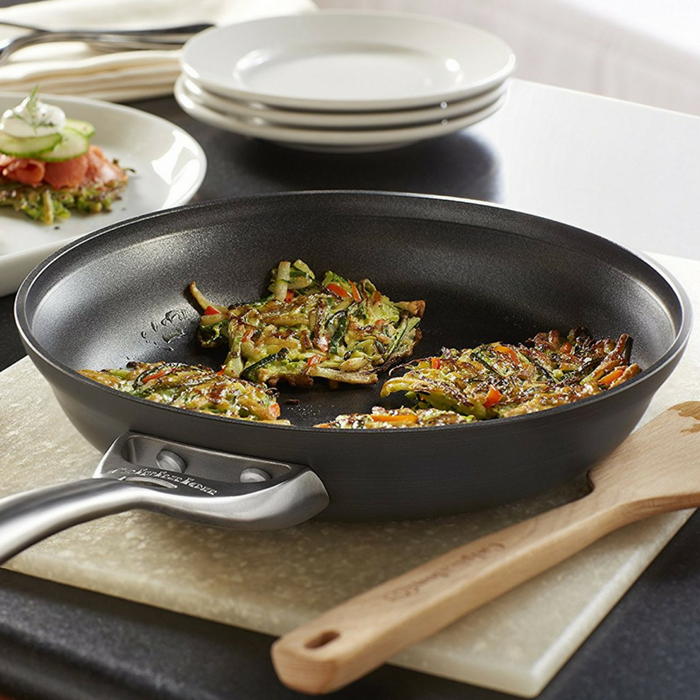 The Calphalon Contemporary Nonstick 10-inch Fry Pan features a stylish, modern design that looks great in the kitchen while offering reliable everyday performance. This fry pan has a thick, flat bottom with gently sloping sides, making it ideal for preparing eggs and omelets, sautéing vegetables, and frying crab cakes. Heavy-gauge, hard-anodized aluminum construction ensures even heating, while a multi-layer nonstick surface offers exceptional durability and easy cleanup! Frying pan interior includes three layers of nonstick: two layers provide durability and the third layer offers easy release performance.